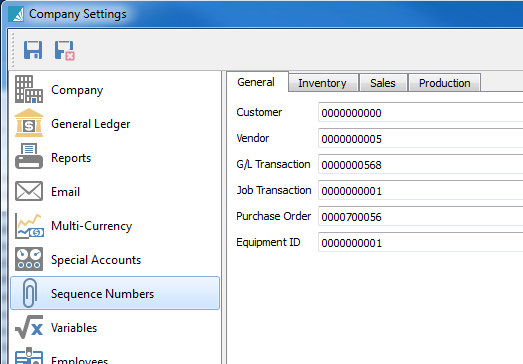 The Sequence Numbers section will allow you to set the starting number for a type of transaction or record that you will create in Spire. 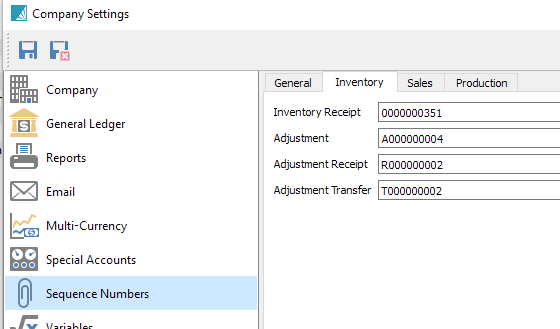 For the sales sequence numbers we also allow you to set the colour of the order on the sales order list. 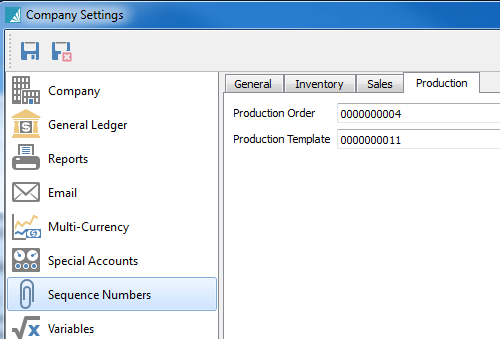 The starting number for the next production order and the next template.